At Springs at Oswego, you will enjoy luxury in every one of our pet-friendly apartments for rent in Oswego, IL. Whether you choose a studio, one, two, or three bedroom apartment, you will appreciate detailed touches like wood-style flooring and granite countertops in the kitchen that lend your space a warm ambiance. With walk-in closets for organizing your belongings and energy-efficient appliances like a dishwasher and washer and dryer, you will enjoy comfort and convenience. Dive into a life of luxury at Springs at Oswego. We welcome you and your pets to join our pet-friendly community at Springs at Oswego. Take your dogs to our onsite dog park and let them socialize and burn some energy while you enjoy the fresh air and get ready for the day. 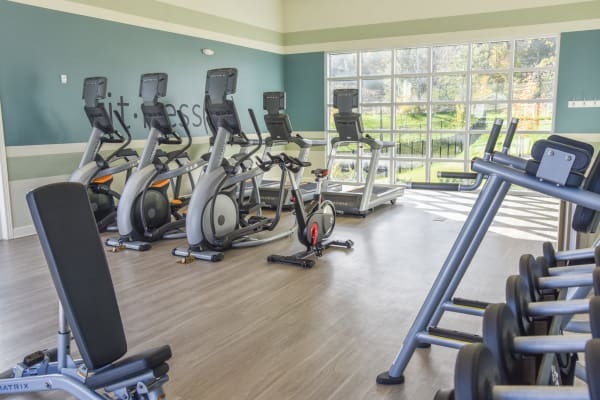 Visit our fitness center for a healthy workout or bask by the swimming pool on a sunny day. Our clubhouse is a choice spot for pleasant conversations with friends or accessing the complimentary WiFi. On top of that, online rental payments and an onsite management team are here to make your life as convenient as possible. Come see our lovely community for yourself. Schedule a personalized tour with our friendly staff today.